As you listen closely, you/we hope to hear at least one challenge we can immediately offer to help them solve. For you, this is likely a product that meets a new code requirement or a color palette others do not offer or service that is like none of the competition. For me, it may be creating and delivering content that makes them stand out from the competition and connects with their customers or providing them with insights and experiences others do not have that will lead them to their goals. Our shared search for customers and clients that are not satisfied with ‘good enough’ is special because we can help one another. We simply need to start by talking about it. So let’s begin by meeting one another in person at IBS + KBIS in a few days in Las Vegas or when you return to the office. There is an old saying that “Imitation is the sincerest form of flattery.” While this may be true in some places, it never more false than with social media. During a recent search of Instagram, we found thirty different posts that looked like one another within a seven-minute period. We have highlighted nine of these posts in the collage to the left. 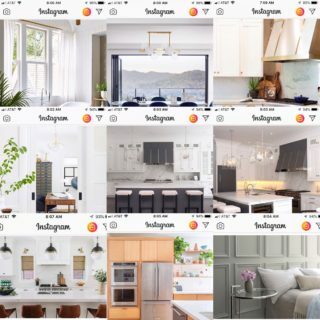 Each of these nine posts is from different manufacturers featuring different products from cabinets and countertops to lighting and windows. Can you name the nine different manufacturers based on these images? The Harvard Business Review calls this collaborative competition. 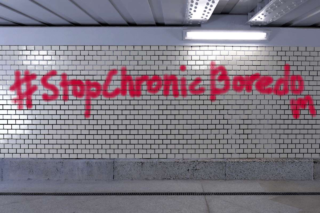 We call it Chronic Boredom and we are committed to helping our clients build on their success with content marketing to stand out from the crowd.